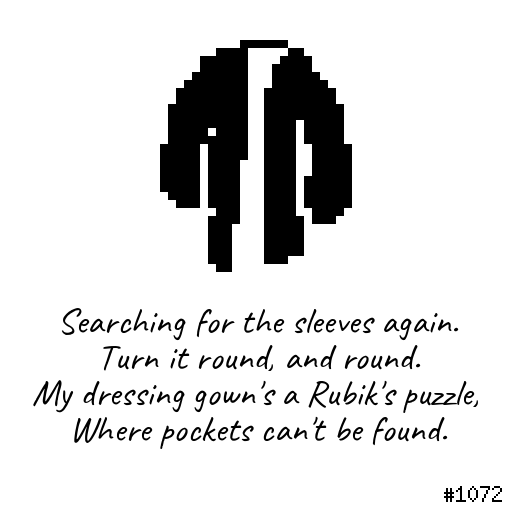 Searching for the sleeves again. Turn it round, and round. Where pockets can't be found.